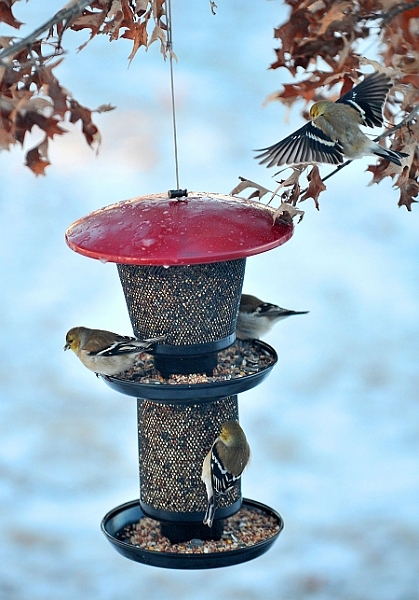 Feeding fun for you and your feathered friends! 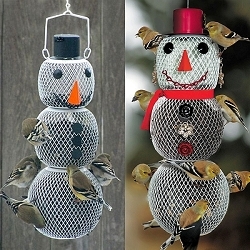 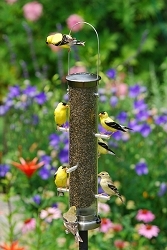 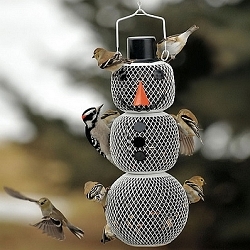 The No/No Multi-Tiered Feeder has two mesh feeding compartments, so you can attract the most birds by feeding two different types of seed at once including sunflower seed, sunflower hearts, safflower, peanut chunks, millet, mixed seed or blends, even nyjer seed! 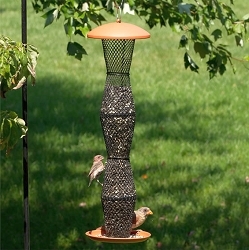 This functional feeder combines stylish design with the best features available today in bird feeding. 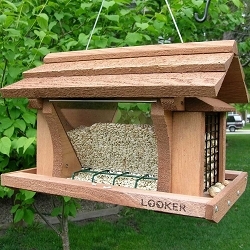 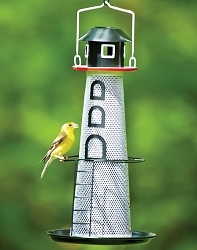 Developed by birders who know wild birds and the people who feed them. 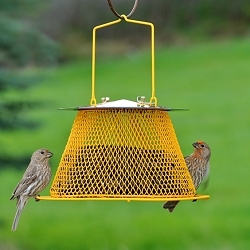 The patented feeding system with baffle dispenses seed evenly through steel mesh sides and in two trays. 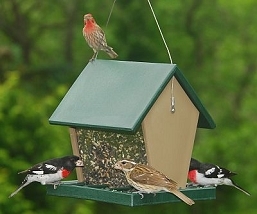 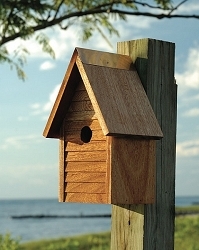 This all metal rigid feeder is brick red and black to make this a standout in your bird garden. 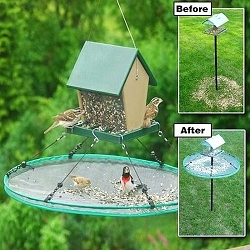 14 inch in height it has a 4 lb seed capacity. 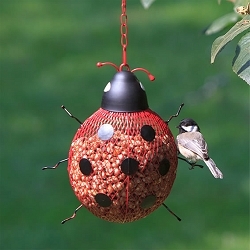 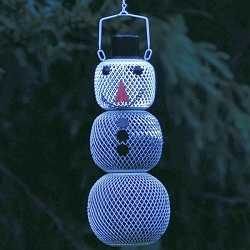 *So unique and functional, It's patented! 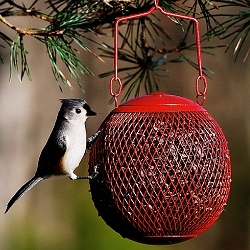 Birds attracted to this feeder include Cardinals, Chickadees, Nuthatches, Blue Jays, Buntings, Finches, Juncos, Titmice, Woodpeckers, Wrens and a wide array of other backyard birds. 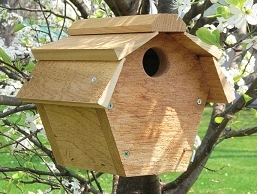 Dimensions: 8.75" x 9" x 15"